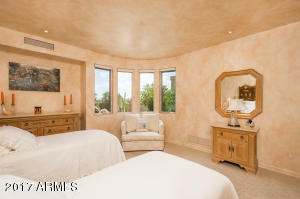 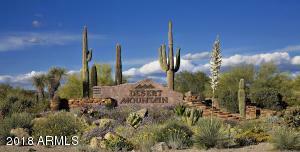 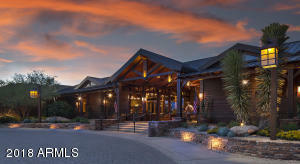 NOW INCLUDES Desert Mountain Non-Equity GOLF MEMBERSHIP & all Furniture. 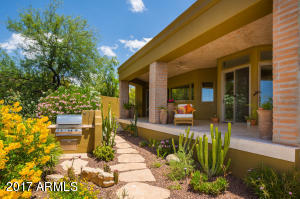 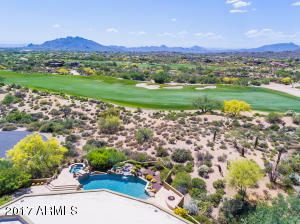 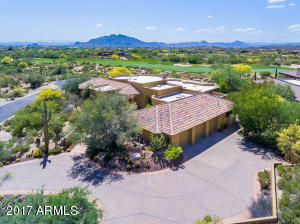 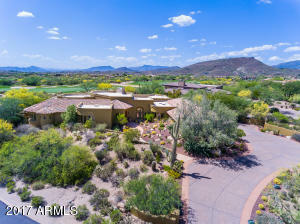 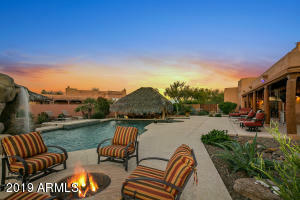 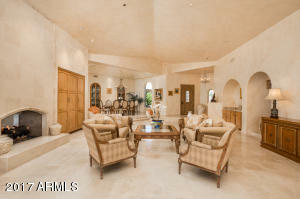 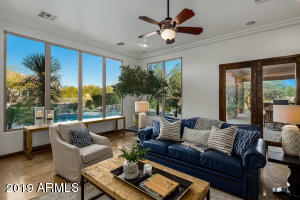 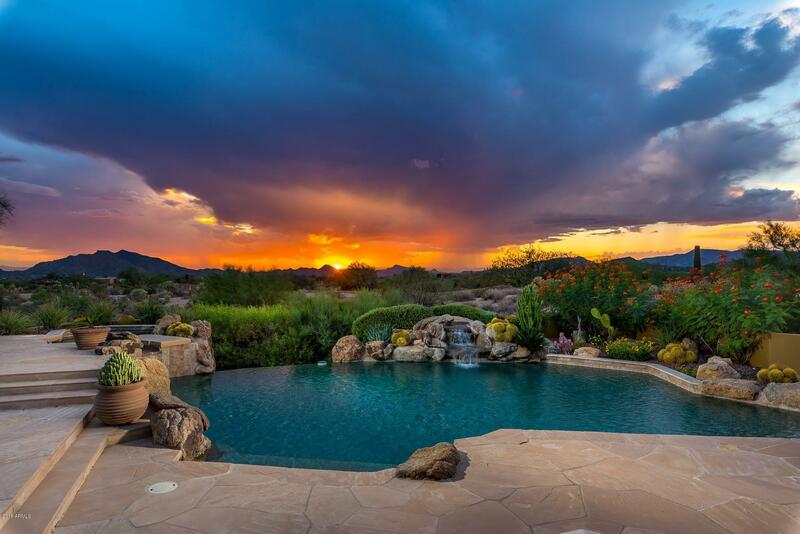 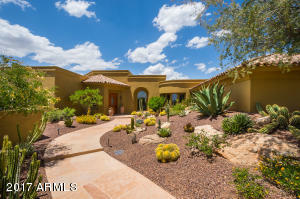 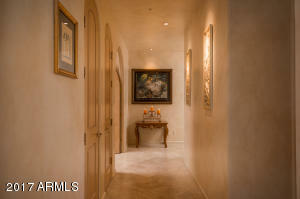 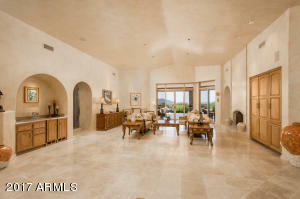 Beautiful Sunset, Golf Course & City Light Views await you in this one-of-a-kind Mediterranean style home within the private gated community of Desert Mountain in North Scottsdale, AZ. 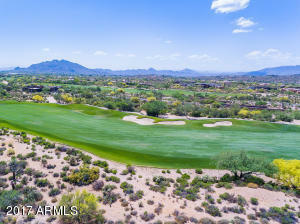 Views focus toward the southwest for maximum sunsets all year round looking squarely at Black Mountain across the 9th fairway of Renegade Golf Course. 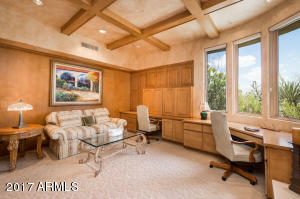 Light & bright living spaces with polished travertine floors, granite counter tops, wood paneled library/office with fireplace. 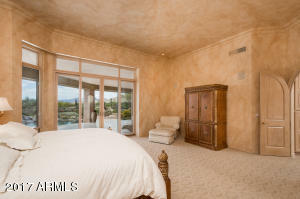 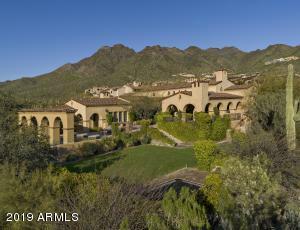 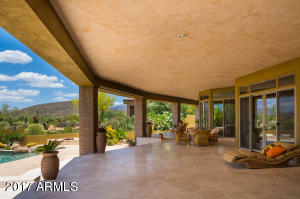 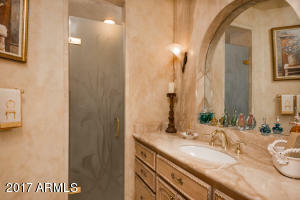 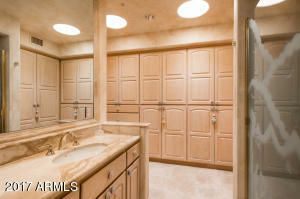 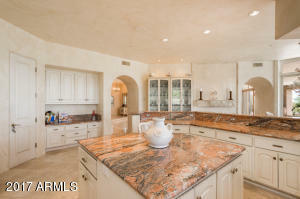 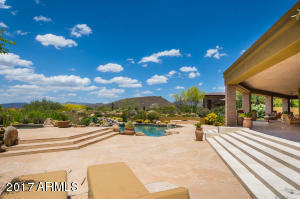 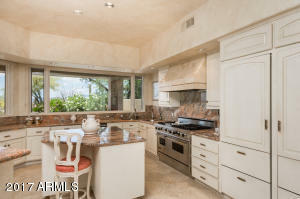 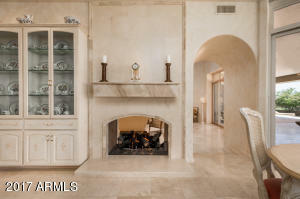 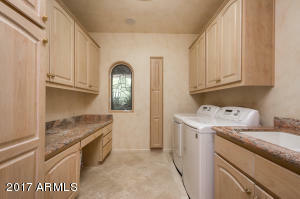 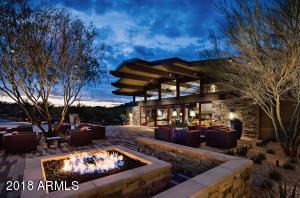 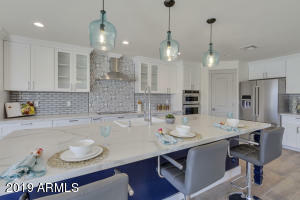 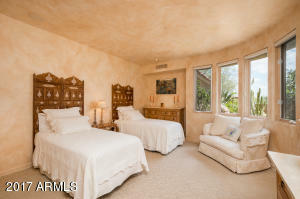 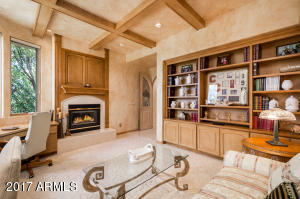 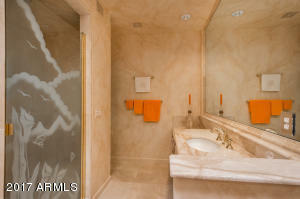 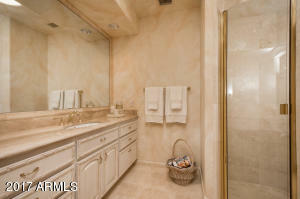 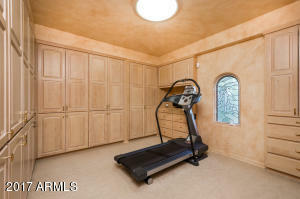 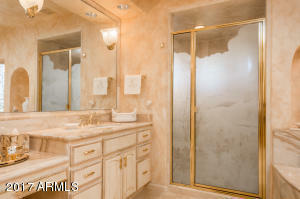 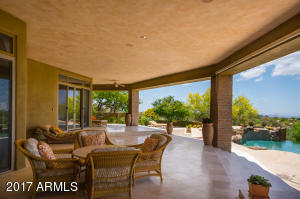 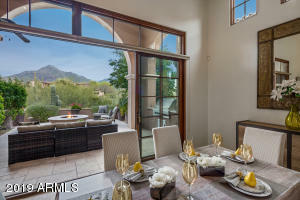 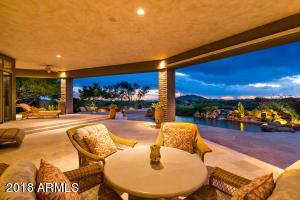 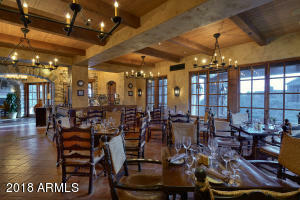 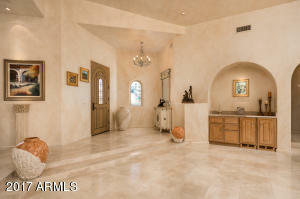 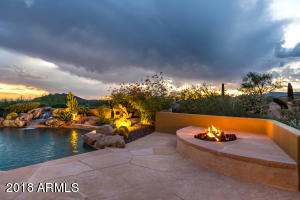 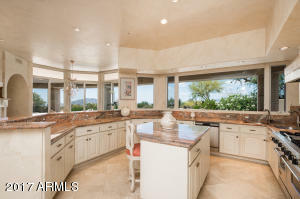 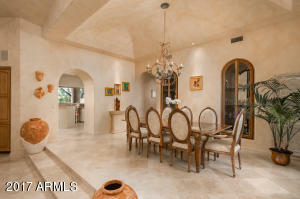 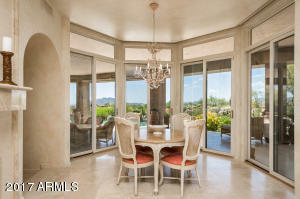 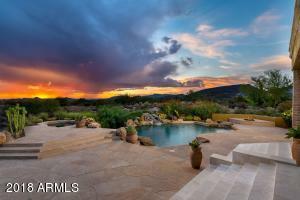 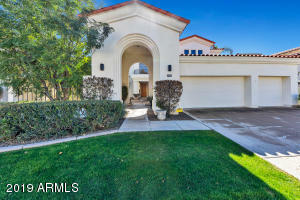 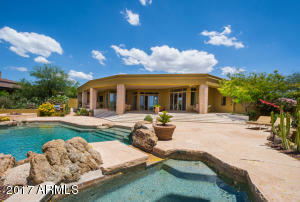 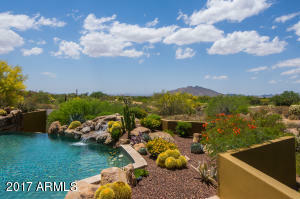 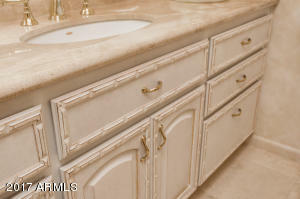 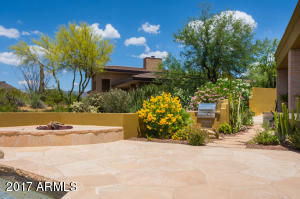 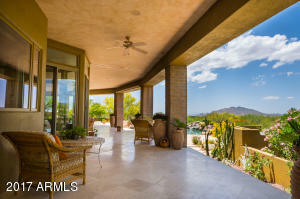 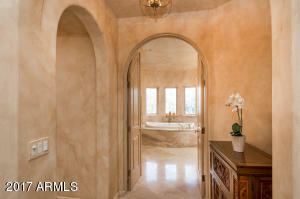 Gourmet kitchen with spectacular mountain & golf course views. 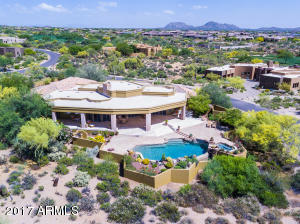 Expansive patio with rose garden, great for entertaining with pool, elevated spa & elevated fire pit surround seating, very deep overhangs, and BBQ.Dining room chandelier doesn't convey. 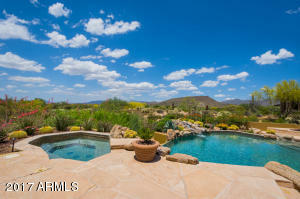 North on Pima Rd to Cave Creek Rd. 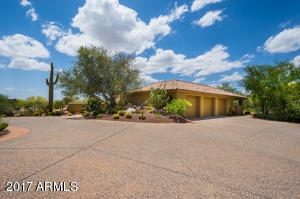 Turn east on Cave Creek Rd down 1 mile to Desert Mountain Parkway on North side of Road, Proceed to guard gate and ask for directions to Sunrise lot 256.